*Wifi transmission system provides easy and fun FPV flight. *2MP camera can take photos and record videos. *With high strength metal material, and equipped with omnidirectional, multi angle protection anti-collision cover, the machine has a strong anti wrestling ability Foldable design, portable and easy to carry. *Unique fuselage design and high quality painting, outstanding appearance. *Upgraded 2.4G 4CH transmitter for your easy control. *The latest 6-axis flight control system, provides super stable flight. *With headless mode, and one-key return care free to fly. 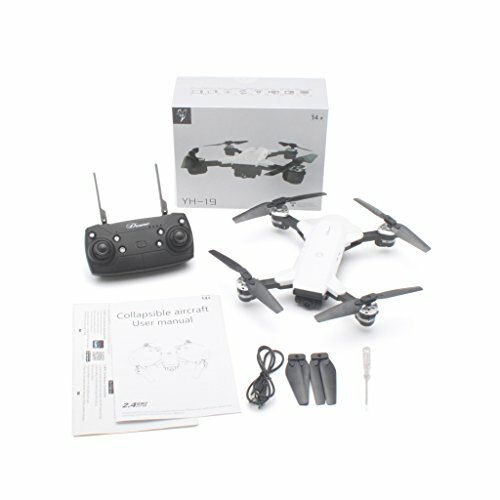 *High/low speed mode and 3D flip function provide you cool flying experience. *Please allow 1-2cm error due to manual measurement. pls make sure you do not mind before you bid. *Due to the difference between different monitors, the picture may not reflect the actual color of the item. Thank you! If you have any questions about this product by Sixsons, contact us by completing and submitting the form below. If you are looking for a specif part number, please include it with your message.